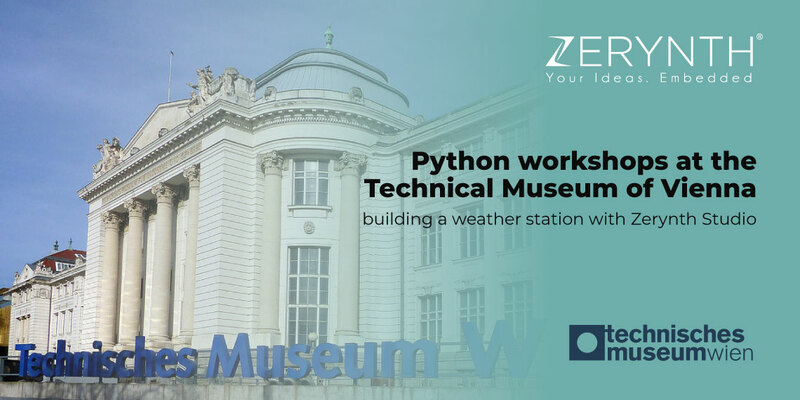 Visitors will have a chance to see how to make a Python programmable weather station with Zerynth Studio and Flip&Click. Since that’s one of our more popular demos, you’ve probably already heard of it. Perhaps you’ve tried it out yourself. One thing’s for certain, it’s going to be fun. As we said, the visitors will have a chance to see a Python programmable weather station. With MikroElektronika’s Flip&Click development board, Weather click, and Zerynth Studio a DIY weather station can be made with a few lines of code. The sensor on the Weather click will pick up temperature, pressure, and humidity readings, and Zerynth Studio is there to displays the readings. Simple and easy. The museum is open from 10 am, to 6 pm on Saturdays and Sundays (when the exhibition takes place). If you want to learn more about using MikroElektronika Click Boards with Zerynth, make sure to check out this article. It explains in detail how to use the Click Boards with Zerynth Studio. There are even two demos you can try out. One, on how to read the acceleration sensor of the 10DOF Click with Zerynth Studio. The second one, on how to read weather data from the BOSCH BME280 mounted on the Weather Click. That’s the same kind of demo that the Technical Museum of Vienna will be showing. Of course, there are lots of interesting workshops at the museum other than the Python weather station. You can see how to make chocolate Easter eggs with a 3D printer. Take a glimpse into the future of food. Or you could see how to use a laser cutter for high precision cutting. You can even see robotic bees. It’s all there at the Technical Museum in Vienna. You can see the full list of the workshops at the exhibition here.